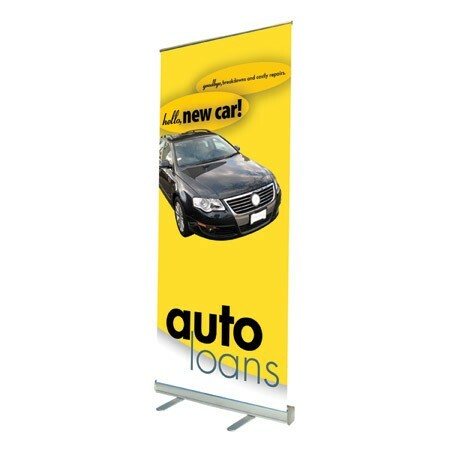 This retractable banner stand is great for events and trade shows. Comes complete with a black soft carry case. Holds 33-1/2"w banners. Banner sold separately (GLBB33579).